This past summer I had the great pleasure of being a part of this gorgeous wedding that took place at Maple Bay Manor just outside of Duncan. The bride had requested all white florals, and honestly initially I was a little hesitant due to my love of colour, but I found myself surprisingly in love with the challenge and beauty of working with only white flowers. Instead of looking at colour theory, I was instead drawn to texture and shape, which is something I consider normally, but it was my main focus for this wedding. All of the flowers for this wedding were locally grown. Many from local farms here on Vancouver Island including: Busy Bee Farm and Florals, Still Wild, Cartref Gardens, City Fields Flower Farm and Mt. Newton. The only item imported was the eucalyptus, besides that all the greens were also local. There was a very talented group of vendors that came together for this wedding, with Emma McCormick leading the way as the wedding planner. 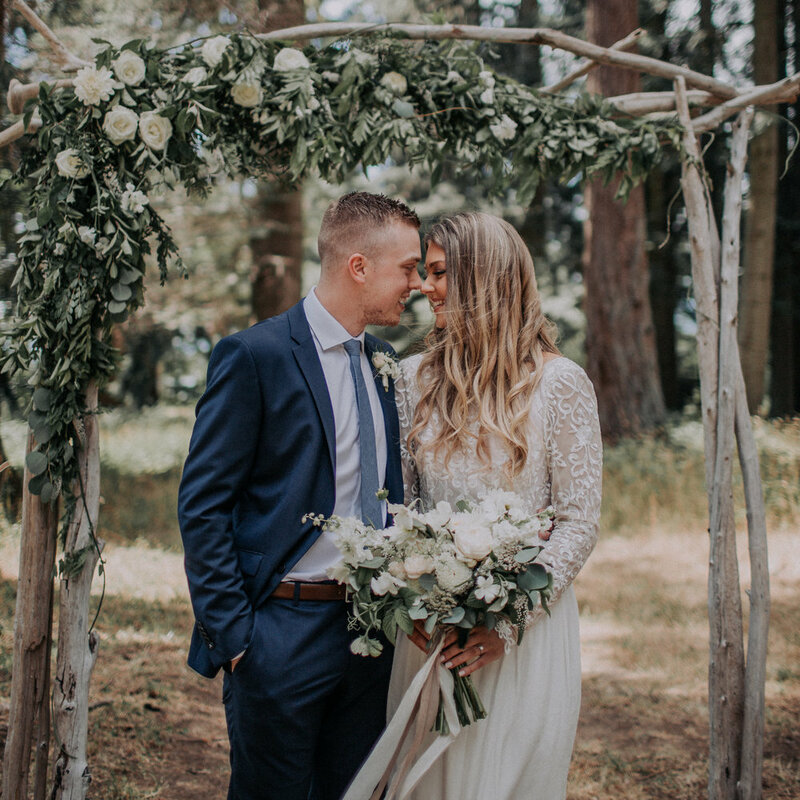 I’m also excited to share that I entered some photos from this wedding and was a finalist in the best wedding florals category at the Vancouver Island Wedding Awards. This wedding was stunning in so many ways and I had a number of connections to the wedding including close friends and high school classmates, so it was lovely to be a part of. Congratulations to Danae + Jackson! Again, thank you so much to Maiko Media for these gorgeous images. And thank you to Danae and Jackson for allowing me to be a part of your day.